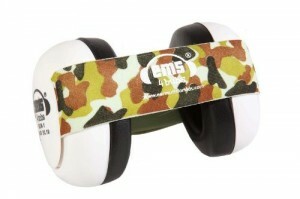 Em’s 4 Bubs Earmuffs are made specifically for very young children and babies. Em’s 4 Buds earmuffs use a headband to hold them in place, which help disperse pressure more evenly around the skull of your baby. With a 22dB noise reduction rating, Em’s 4 Bubs are the world’s smallest hearing protection earmuffs, designed just for infants. They can be used in a wide variety of settings from concerts and car aces to sporting events and shopping centers. Use them to protect your child’s hearing or to help settle them when disturbed by noisy environments. Includes one adjustable headband.Perfect for any parent wanting to protect little ears from big noise!